Rated 5 out of 5 by ROGPAT from Good all around game If you don't mind a witch story, the quality and length of this game is very good. No glitches. Could have used a map to get around more quickly. Provided many interesting scenes that needed to be revisited. A good variety of characters. Rated 5 out of 5 by weebawbee from Best game in a long time This was the perfect game for me - great illustrations, not too many HOGs, clear narrative, tricky puzzles and a good few hours of game play. I really loved it (I think you can tell). Another good point is that the objects needed for each "chapter" overlapped, so it wasn't just a straightforward "get this this and this and then move onto the next chapter". Brilliant game! 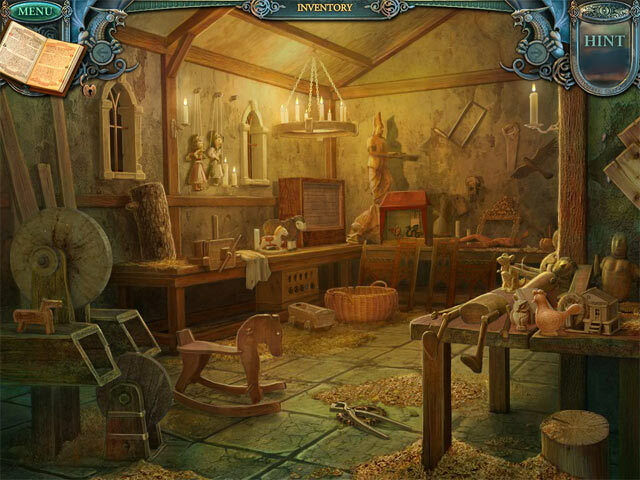 Rated 5 out of 5 by spearmaiden77 from Fun Hidden Object Game! Very challenging hog. I forgot where I was suppose to go sometimes as extensive as this game is. Very much approve. Rated 5 out of 5 by Sammoh from full excitement Wooooooooow I was really sorry the free trail ended. Rated 5 out of 5 by christyjoy from Biased for Echoes! I have always enjoyed Echoes of the Past games. They are fun and money/ time well spent. I enjoy the story line and the mini games and the art/graphics. The sound is always catching too and comfortably familiar. The first Echoes was one of my first Big Fish games a few years ago so I am a bit biased. Rated 5 out of 5 by ZoomSF53243 from Lengthy, entertaining & unique adventure game The storyline is pretty typical but you wouldn't be able to expect the sequence nor activities to get there. Even on easy mode and using hints, the next steps are challenging and took me almost 5 hours to complete. And best of all, has so many new interesting puzzles that I haven't seen elsewhere. Rated 5 out of 5 by Patsy24 from Well worth the money!! 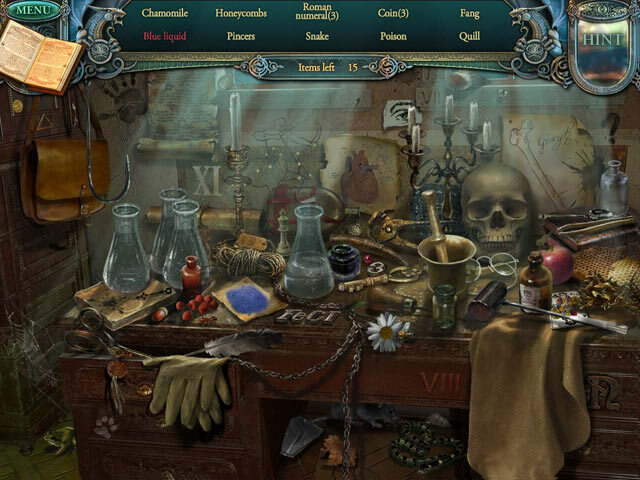 This is a fantastic game - loads of Hidden Object games, some with a different slant. The graphics are terrific. It took me ages to finish and I do feel that this was very cleverly put together. I can 100% recommend it. Rated 5 out of 5 by aleta59 from Ding dong, the witch is dead...or is she? Echoes never disappoints. Great game play and the ongoing story of defeating the witch in the kingdom of Orion may seem repetitious, but there are always new puzzles and new challenges. And really cool new monsters! HOS standard and put backs. Very clear and orderly, but well hidden. Tons of puzzles, mostly hard (for me), and a long skip button. Inventory is at top which takes a few minutes to get used to. Hint button shows picture of where to go. Fun game, and good length: 5.5 hours casual. Rated 5 out of 5 by wifeofgerry from Simply the Best! Bought this game as my monthly purchase from BFG and have been captivated from start to finish. Graphics are brilliant, mini-games are fantastic, some easier than others, and I enjoyed having to backtrack to use items as and when they became available. HOS are good, reminiscent of the other Echoes games. All in all a great game for all ages. Kept this old granny on her toes for sure. Would recommend highly. Rated 5 out of 5 by TeddyofStGiles from Variety adds spice Really enjoyed this - best yet because I enjoyed having lots of different types of puzzles in addition to the usual HOGs/reverse HOGs - although I came to dread trying to open the boxes because I really struggled with the firey lines. No maps so you have to think about where you need to be or where you have been that might need revisiting. The Hint was clever - helping without actually telling you so you still had to think. Overall well constructed and I found the fairly simple story line sufficient to hold everything together. Definitely can be played again since I'm still not sure I finished every room or area! Rated 5 out of 5 by AllisonG from Perfect... Perfect balance...of difficulty, storyline, visuals! I loved this game...one of my favorites. Each scene/puzzle was slightly different and more difficult as the game progressed, yet not so to frustrate me. Looking forward to more of the same! Rated 5 out of 5 by hgo1234 from Excellent Game If you are tired of games that only have hidden areas every time you turn around, try this one. There are a few hidden areas, but mostly it's solving puzzles, figuring out where to place items you have in inventory. Great game and i hope I can find more like it!!! 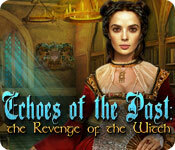 Rated 5 out of 5 by cpezzop from Echoes of the Past: The Revenge of the Witch Great game, well worth the money.It's almost as long as a collector's Edition. Buy it, you'll like it!!! Rated 5 out of 5 by okracoke from Another Awesome Echo ! Many hours of play - all round great game ! Rated 5 out of 5 by shirlton45 from Best of the series I have liked all of the Echoes of the Past series but this is by far the best. Has kept me entertained for ages. Good Puzzles through out the game. 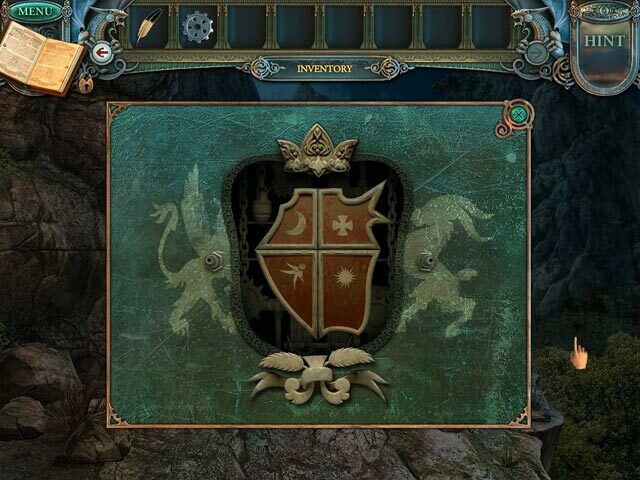 Rated 5 out of 5 by windflower from one of best It keeps you playing and playing. The graphics are excellent. There're different kinds of puzzles you've never met. Rated 5 out of 5 by pgillenw from I Want a Ton of That Magic Powder! The game made me wish I had a ton of magic powder to rid the obstacles in my life's path. This was a lengthy game and I felt I got my money's worth. I played in the hard mode however a few times I needed help and the games hint system came to the rescue. One mini game I was able to solve by accident only once. Thankful for the skip feature because that particular challenge was presented more than once. Good buy, great play. Rated 5 out of 5 by MisterBear from Great for puzzle lovers I've seen some reviewers didn't like the game because of its extensive puzzles but for me that is what makes a game fun. I prefer puzzles over HO screens any day. I would have liked a map but the hint feature certainly made it clear where to go and what to look at. I like the fact that it did not actually tell you what to do, too specific a hint can ruin the game. The story line was clear, the graphics good and the length was great. Rated 5 out of 5 by hums2 from Lots of Puzzles and Lots of Fun Excellent game - good storyline - lots of puzzles to solve before you can move onto the next level. Hint feature is great - it tells you where to go and what to do next if you need this added help. More of a Puzzle game with some HOS (some with a twist where you have to replace this missing item). Keep 'em coming like this one. Rated 5 out of 5 by catbag8717 from You'll Kick Yourself If You Miss This!!! I tried my luck again after the CE did not work with my computer. Fortunately it worked this time, and I loved it! :D Good Parts: Absolutely loved the Hidden Object Scenes. 3 types of scenes; junkpile (which included interactive objects), extra step (finding certain number of objects to complete something and needing something else not located in the scene) and insert the object (a scene is shown in which you must correctly place the missing object) all 3 were a blast and incredibly challenging. Loved the storyline. Especially loved the idea of the witches' curses which you had to stop with a "magic powder" and the idea of the green gems. A staff is given to you at the beginning of the game which is missing 10 gems.You receive one gem afer removing a curse the witch has placed. Brilliant graphics; very clear, lots of brilliant designs and very modern. I had a blast with this game and ran down the demo in a flash! Hint recharges very, very fast, and I liked how if you ween't n the area you needed to be, it would show a picture of the area you needed to be in. OK Parts: The puzzles. Some were great, but others were poor, and they were very repetetive. Bad Parts; The skip took a little too long to recharge for my liking. That was the one bad thing I could find with the game. It's an absolute winner, buy it, no questions asked!! Rated 5 out of 5 by Uppity_Pup from Nice Long Game Yes, this game has lots of puzzles, but it's not JUST puzzles as some have stated. I enjoyed the puzzles, as well as the 2 different styles of HOS - one where you have to find objects and the other where you place objects where they belong. There was more backtracking than I like and 2 of the puzzles were repeated several times throughout the game, but there was certainly enough variety among the remaining puzzles. It took me several sessions of play to complete the game making it significantly longer than most games. Give the demo a try; I think you'll like it. Rated 5 out of 5 by kimrob5 from Great HO Game This is my first time reviewing a game on this sight. But I thought this game was one of the best HO games I've played. My biggest complaint has always been the games are not long enough. This one seemed to go on forever! It's not a terribly difficult game and I really liked the fact that the hint button would show you where to go next if you got stuck (on casual play). It was nice to not have to go out of the game and go in to the walkthough to find out my next step. I dont play the CE edition games so was exited to see this sequal come out in the standard edition. It's a great next chapter in the Echoes of the Past Series. Can't wait for the next one! Rated 5 out of 5 by tassergal38 from Great game for intermediate gamer The game is well structure: you don't get lost in the different scene. It's easy to find out your way, The hint button use to know what to do next is really great. SO you don't get stuck wondering what's next. Rated 5 out of 5 by auggie1224 from Bring it On Witch ! I loved this game, it made sense. The hint button is very useful, does not tell you what to do, but where to go. That will save players lots of time and frustration of not going back and forth to incorrect areas. I thought the graphics were great, loved the scene in the court yard off of the garden house...leaves blowing in the wind, just a nice touch. I am not a big puzzle fan, but you can skip them if you choose. Over all I just loved this game and will eagerly await the sequel ! Rated 5 out of 5 by XtreemNorth from get passed the demo! While I was demoing the game I kept thinking well maybe its just an alright game but beings I hadnt boughten a game for a while I bought this. boy am I glad I did. Its outstanding! The makers came up with something different. As the game progresses so does the fun. You gradualy collect more power and with that you are able to do more things. The house is amazing, so many things to do, I love it. I had no idea it was going to turn out this good. Dont base your descion on the demo, it gets so much better. Rated 5 out of 5 by cuorips from Great game Lots of walking around, but great design, story line is fine, lots to do, good puzzles, H0 are very well designed,I had fun.